It looks messy, obnoxious and quite stinky, when a lot of garbage gets collected around any property. Obviously, the property owners don’t wish to collect the rubbish in their property, but it happens due to lack of time and garbage can near the property. The Rubbish Removal Bondi Beach service knows that collected squalor can be very dangerous for kids, pets and to the health of property owner. That’s why this agency offers quick rubbish removal support on one call. It collects both recyclable and non-recyclable garbage and hauls it out of the property. The owner gets his property cleaned without wasting time on cleaning the garbage. People often avoid calling the rubbish removal services because of bad experience of the past. You must know that not all the service providers are the same. Rubbish Removal Bondi Beach is renowned for offering immediate support on just one call. You can share the address and the professionals will visit your site within a few hours. The service providers of this agency consider this profession as a mission of maintaining better cleanliness. They work to turn Bondi Beach into the cleanest region of Sydney and that’s why they offer high-quality support at very reduced cost. Many people, who get busy in their business and jobs, don’t get time for cleaning work of property. They can easily schedule rubbish removal work according to their availability. There is no need to compromise with the job or business because Rubbish Removal Bondi Beach offers online scheduling facility. You can contact the service provider and call them, whenever you are free. 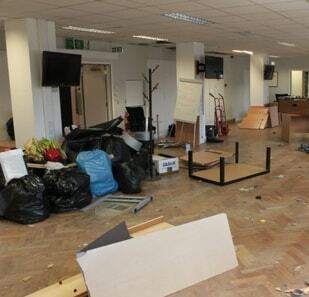 The work will be done in a professional way and the service provider will remove all sorts’ waste material. People have used services of this agency and they have got safe and healthy space for their kids and pets around their property.